The only all-inclusive adult only resort on the isle of Provideciales has been completely renovated. This resort is an icon in the Turks & Caicos Islands and was one of the first, as well as only all-inclusive resort until a few years ago. This iconic Club Med resort calls vacationers from all over the world; with its' one-of-a-kind flair for adventure! This adult-only Club Med Resort has it all, perfect for singles, friends and couples! What's New at Club Med Turkoise? Club Med Turkoise has added a new feel to the resort. 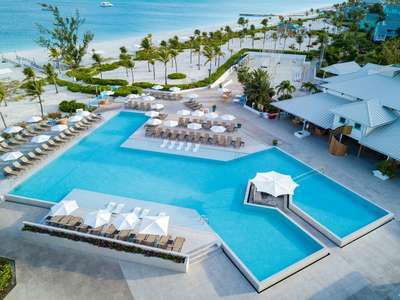 Club Med has a newly designed infinity pool, a new Blue Coral Main Bar, brand new Deluxe Oceanview Rooms with Balconies, and a new restaurant. 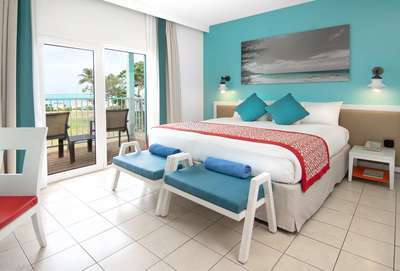 Everything is waiting for you - an amazing all inclusive experience in Grace Bay! The New Deluxe Rooms will come with a balcony that over looks the ocean just a few steps away. These amazing newly built rooms will also include priority housekeeping, turn-down service, and a mini bar that is refreshed daily with soft-drinks and juices. 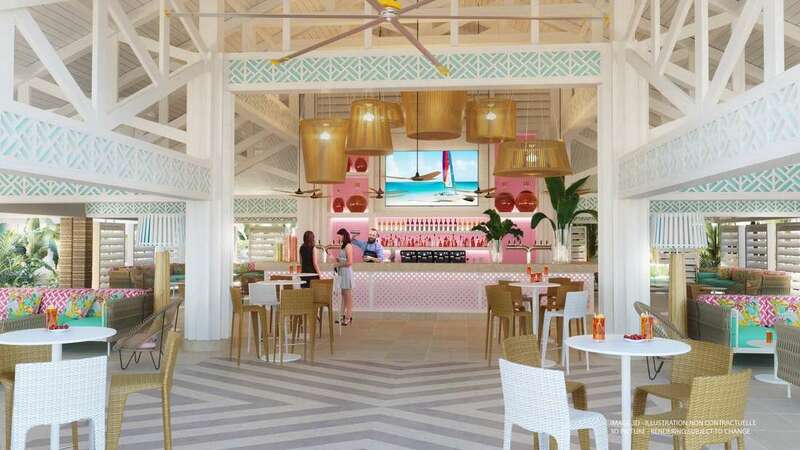 The New Coral Bar comes with an inspiration of the beautiful Grace Bay Beach. The bar features a fresh, colorful ambiance and central location, this lively and spacious bar offers all-day poolside refreshments, pre-dinner cocktails & drinks, and after-hour festivities. 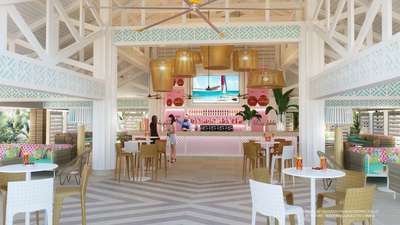 The New Grace Bay Restaurant is newly designed buffet-style, however most of the food at the stations are cooked to order, the way you like it! With the brand new look and fresh menu offerings you will be sure to love it! NB: This restaurant will help you if you have a special diet including Gluten Free or any allergies. This restaurant also offers an abundance of vegetarian options! Join us from June 08-15th, 2019 for our Annual Group Trip. Whether you are traveling double or single, come join us for some fun on this amazing Caribbean Isle! Substantial savings when you book! Special diving rates with Seafari Diving as well as a group Sunset Cruise! Inquire today! At Margarita Travel we are more than just an average travel agency - we are a specialty agency that specializes in actual resort destinations. Our main focus is to help you! We offer our comprehensive knowledge down to you! 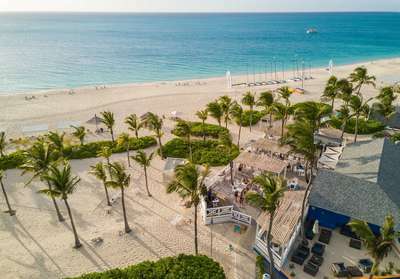 So if you are looking for a romantic escape to Club Med Turks & Caicos, or a group or even a rent-a-village, we can help you! We have spent the last 25 years specializing in Club Med and in that time we have ventured the world. We are more than just a travel-agency, we are a specialized agency that keeps in touch with the people that work at the resorts. So if you have a special request, a birthday, anniversary, we will notify them on your behalf! We are your Club Med Agents hard at work for you! We are here for you before, during and after your vacation!